The 3.5mm adapter is missing not just from the iPhone XS and XR, but even older devices that previously came with one, namely the iPhone 7 and 8. Apple hasn't announced the change, but the accessory is conspicuously missing from the "What's in the Box" sections on iPhone product pages. Without an adapter, iPhones can only reach external audio via Bluetooth, a Lightning cable, or streaming protocols like AirPlay 2 and Google Cast. 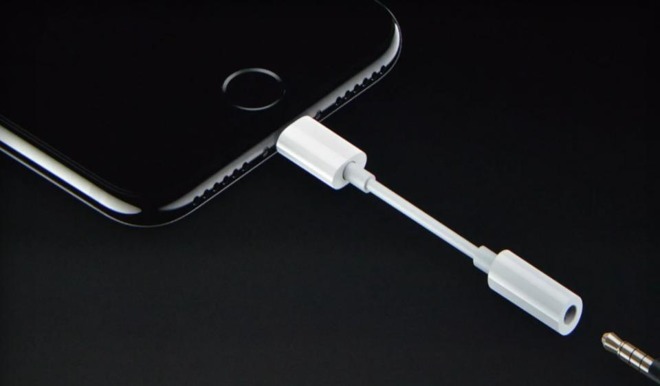 Apple is selling a basic Lightning to 3.5mm adapter for $9. Since the launch of the iPhone 7 in 2016, a number of third-party adapters have also joined the market. The continued inclusion of 5W USB-A power adapters may disappoint people those who have switched over to USB-C elsewhere and/or those wanting fast charging out of the box. An iPhone X can hit 50 percent charge in as little as 30 minutes, but only when using Apple's Lightning to USB-C cable and an adapter with USB-C Power Delivery. That typically means buying a new cable and a MacBook adapter, the cheapest Apple option for the latter being a $49 30-watt unit.